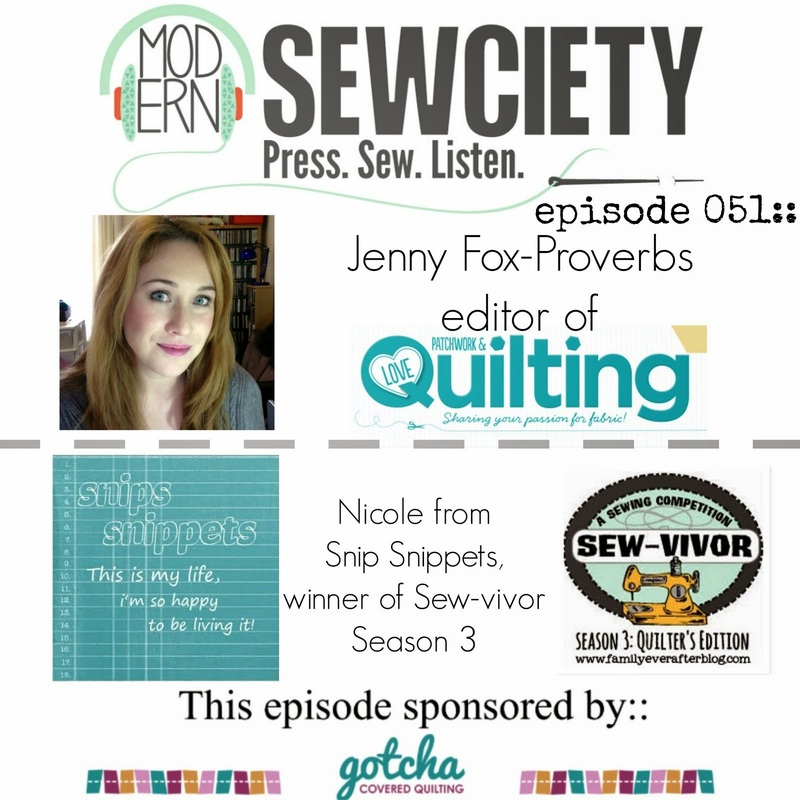 snips snippets: A Desert Crossing Giveaway! I was lucky enough to receive these gorgeous fabrics from Hawthorne Thread's Coyote collection to work with and i absolutely love them! but that coral and gold combo is sooo good! And you've got yourself a winning colour palette! 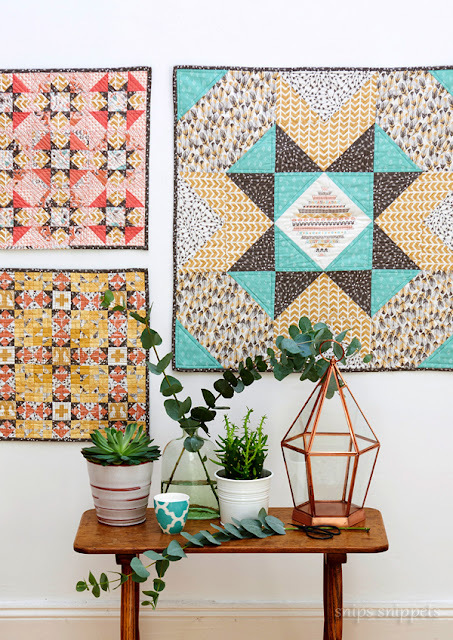 And this is just the tip of the iceberg canyon here folks, they have so many more fantastic prints in two colour ways, sunrise and sunset and an amazing collection of basics that go with all of their fabric lines! So many options! 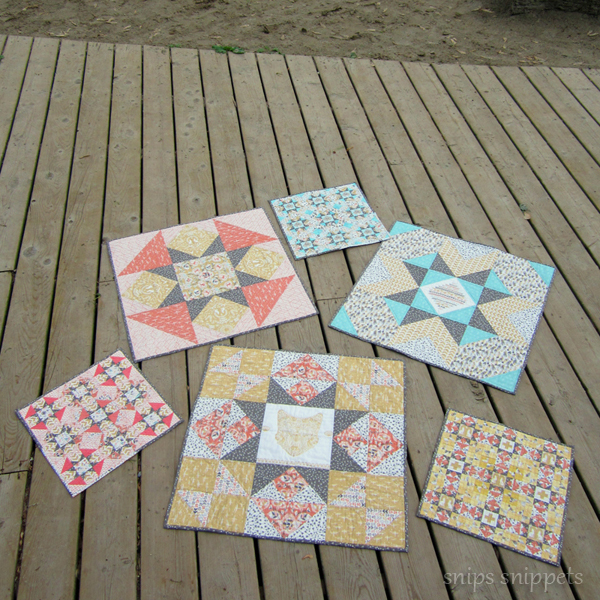 And straight line quilted them all in three shades of Aurifil thread, also from Hawthorne Threads. I love that i'm able to get any shade of Aurifil in any weight from Hawthorne. You know i need my supply of brass filled on a regular basis! the mini mini's are just filled with so much crazy mirco piecing that i love them that much more! Some would say my cheese has slid off my cracker what with all the micro piecing i've been doing lately, but i have to say, it's way too fun to stop! Mixed in some Art Gallery prints and Cotton and Steel basics on the mini minis, they go so well together! 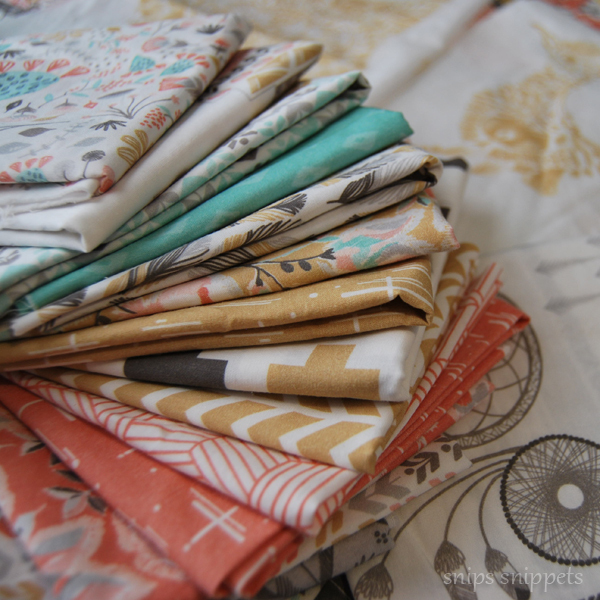 So, who wants to give Hawthorne Threads Coyote fabrics a try? And lucky number 19 has won!! Congrats Renee!!! I'll be emailing you today! 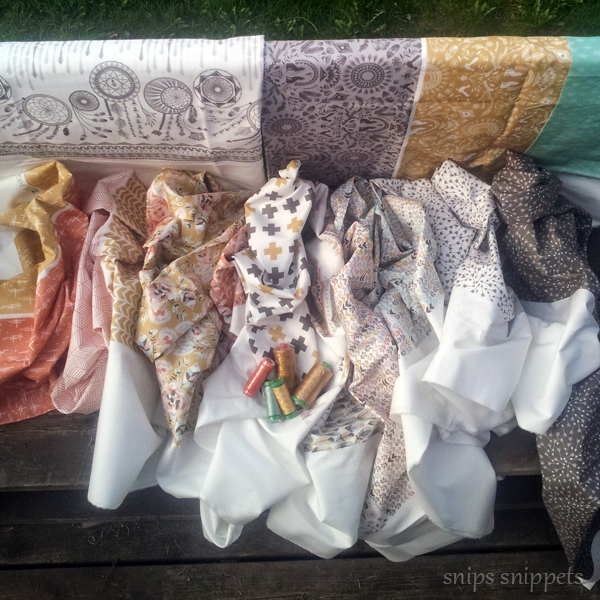 High fives for six lovely minis, LP&Q, Hawthorne Threads and all of you! Happy Turkey weekend to my Canadian readers, gobble gobble! How about one more shot for the road, beautifully styled by the lovely ladies of LP&Q! 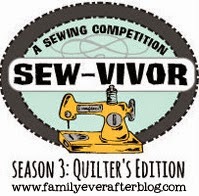 I just came across your blog and I am in love! Your quilts and work are amazing. You have inspired me to quilt again, and I have designed a dresden quilt to make for myself after seeing your beautiful quilt. 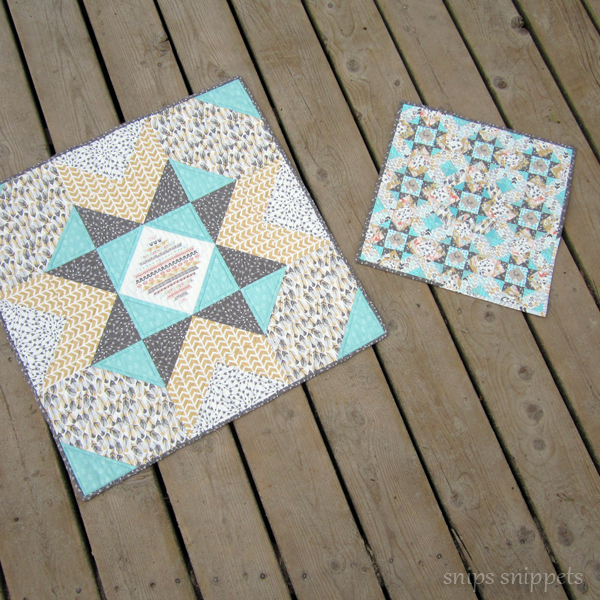 The mini quilts on this post are amazing. 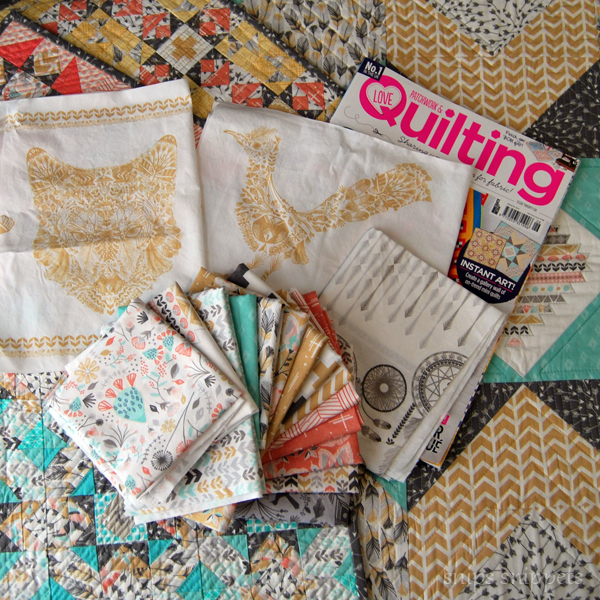 And I really do love that fabric (especially that coral and gray). Thanks for the inspiration! Those fabrics are just too cute!! I'm just starting to try my hand at minis. Thanks for the chance to win! Looks like a cool collection. Great job on the minis! These fabrics are great. 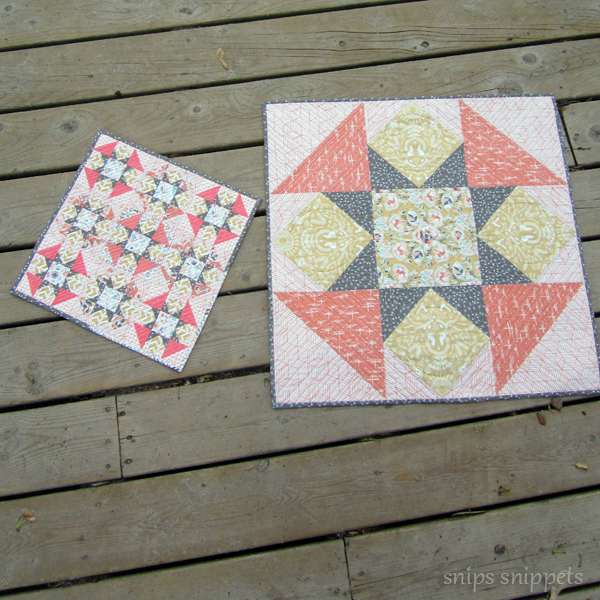 And your mini quilts are wonderful....looks like it was a lot of tiny pieces! Great job! 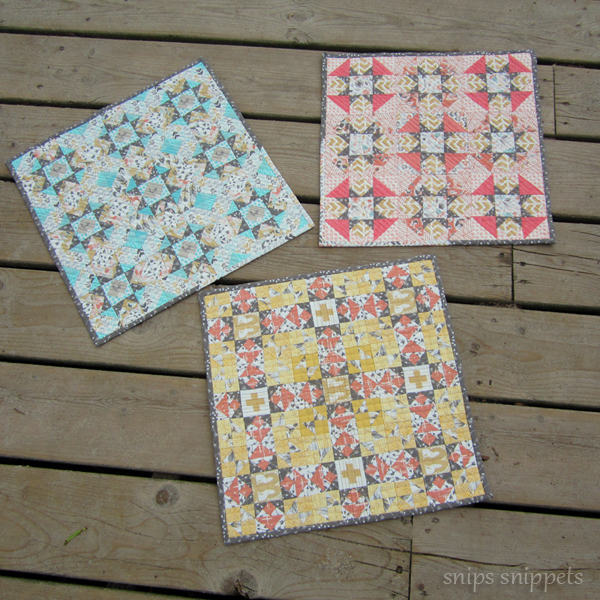 Those fabrics are fantastic and I love your mini quilts! Your minis are too sweet and I do love this collection... Hope that I'm the lucky duck or roadrunner!! The minis are awesome, love the colors and fabric. Earlier today was my first time to check out Hawthorn Treads site. Love the farics. We all want to be lucky ducks, or roadrunners. I don't blog, but will check back next week, just in case, lol. Fingers crossed. Wow those are adorable. Nice work with the tiny pieces! Lovely minis with very interesting fabric. Love! I saw this magazine cover online and immediately loved the minis in the corner and so happy to see they're yours!! I even went out that day to my local Joanns but they didn't have this issue. The fabrics are gorgeous too! I love the coral too. And a Roadrunner and dreamcatchers! How fun! Think I will see if I can locate this magazine too! Beautiful! and the tiny piecing is amazing! I'd never heard the phrase, "my cheese has slid off my cracker " before. Too funny! I love you minis. Any tips for working with smaller pieces? i just checked out Hawthorne threads and i must say i'm very interested. 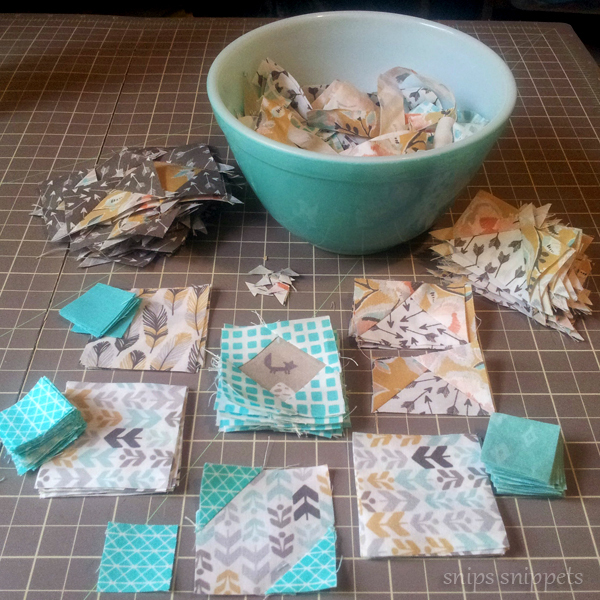 I do love scraps and these look awesome! You did a great job piecing those small bits of goodness. I would love to win the scraps you are giving away. How fun! Great block and I love the tiny version! Would love to play with some Coyote scraps. Yippee, a blog post!!! I love the coral and mustard and the blue too!!! Your minis are fantastic and your micro minis knock my socks off!!!! You have to be a woman of extreme patience!!! Great job Cole!!!! It is so awesome to see you in the magazine month after month!!!!! I love how quickly Hawthorne Threads ships, my packages are almost always sent the same day I place my order. 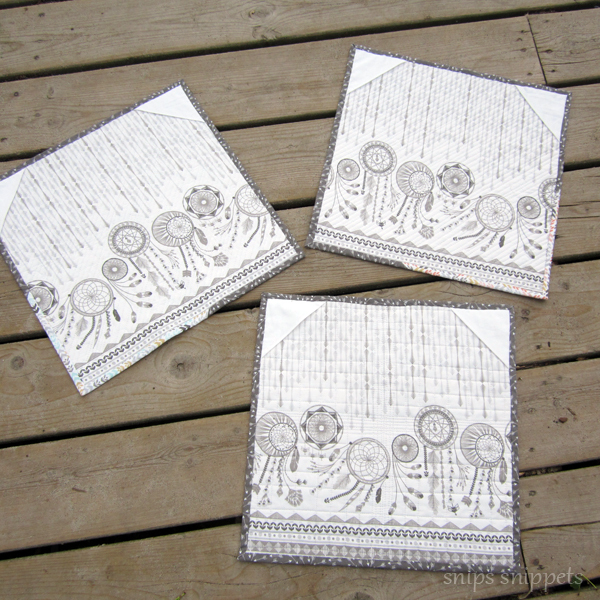 I've yet to try their in house prints but I am excited about the coordinated backing prints. I agree about the gold/coral combination being so pretty together, it is a pair I wouldn't normally put together but they do shine together! 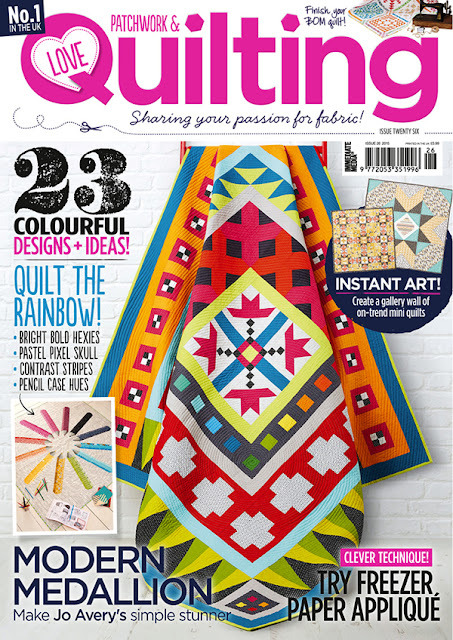 Congrats on the feature, I love that you did mini and micro-mini quilts! Sorry for the plague but hooray for gold and coral!!! What great minis. I love the backing fabric that you used. 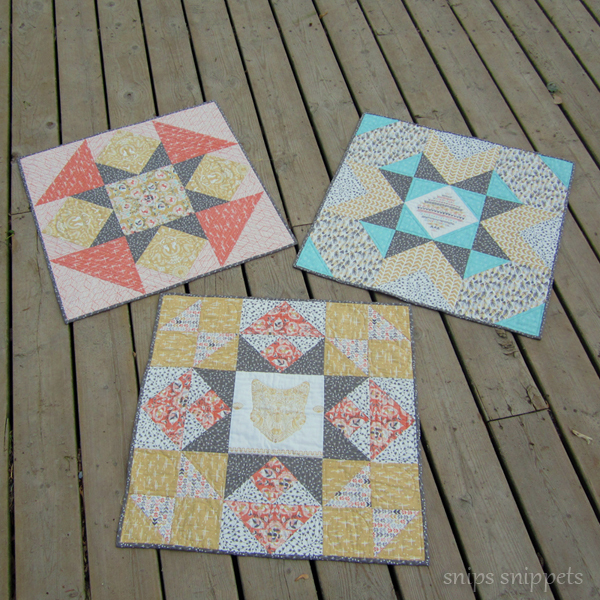 This is my first time on your blog, I love your mini quilts they are absolutely beautiful. It is so hard to pick just one of the fabrics because they all are so beautiful than you show the dream catcher fabric and I could come up with all kinds of ideas. 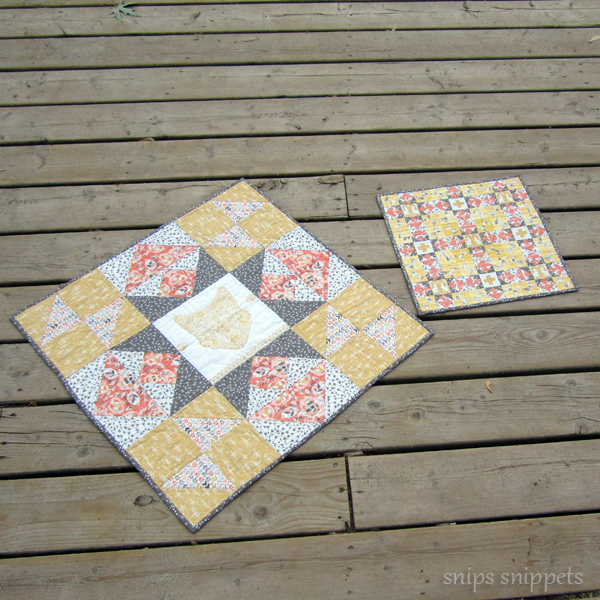 I would be honored to take some of your scraps and make them into a quilt I think it would be so much fun to see what I could come up with using mainly the scraps you provide. Your minis are amazing! Both the one block minis and the mini minis are so fun to look at, and I love the fabric, too! Thanks for the giveaway! Cute little minis. I've made a couple and I'm hooked. Almost immediate gratification - how can you go wrong and they don't require a whole lot of fabric. BAck from hols and catching up on blogs and delighted to see a post of happy minis and micro quilts here - I love the teeny tiny ones! So gorgeous! Colors are beautiful. Very pretty. I love that last photo.